Are you looking for Under Graduation Course Examination 2019 Admit Card of Lucknow University? It needs to appear in Under Graduation course like B.a, B.Sc, B.Com Ex-Student/Regular/Regular Odd Examination. Don’t worry. In this article, we will show you how to properly Download Lucknow University Graduation Part 1,2,3 Examination Admit Card. On this page, you will also get an easy procedure to download Admit card as well link for use gets Lucknow University UG Examination Admit Card. 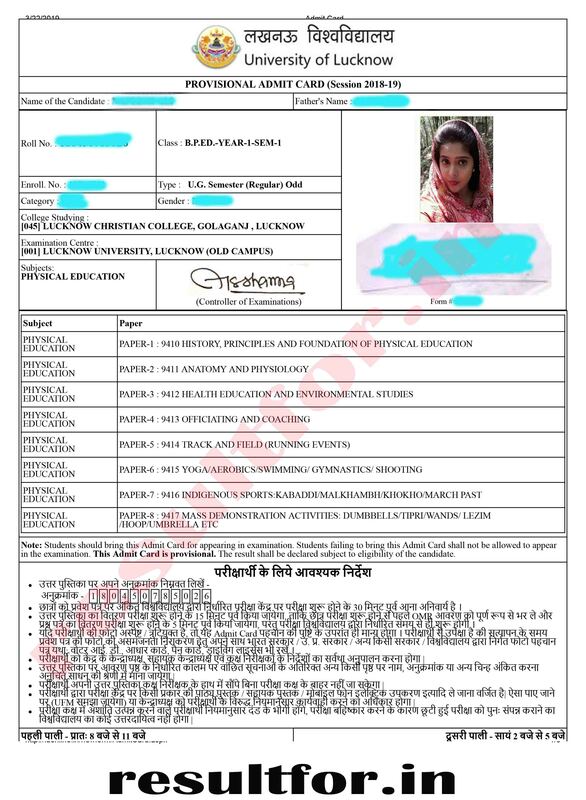 You can Download Admit Card for 2019 Examination from the link which is uploaded on the official website. What’s the first thing that you do for download the admit card for examination admit card online which are given below. Form Number – It is essential information to download admit card (Application Number can be opted on the official website using Detail like Exam Type, Course, students personal detail. Before going to download admit card first know your application number. It you need to Download Lucknow University Ba, BSC or B.com Examination Admit Card. Before going to tell you the procedure to download of Admit Card Lucknow University Examination, like to give a short view on this post. We recommend you to download result for app which provides you all updated information regarding study as well all other updates. It also gives you full detail to check your Lucknow University Examination Results 2019. Admit Card will be automatically downloaded in pdf format. Take print out for carrying to the exam center. If you are searching for something else which you are getting difficult to find then you can ask through the comment.